A granite and marble distributor was in the process of an early stage turnaround and cash flow was constrained. Concord created a detailed memorandum featuring the Company’s recent financial performance, strong current asset collateral, and lack of term debt. 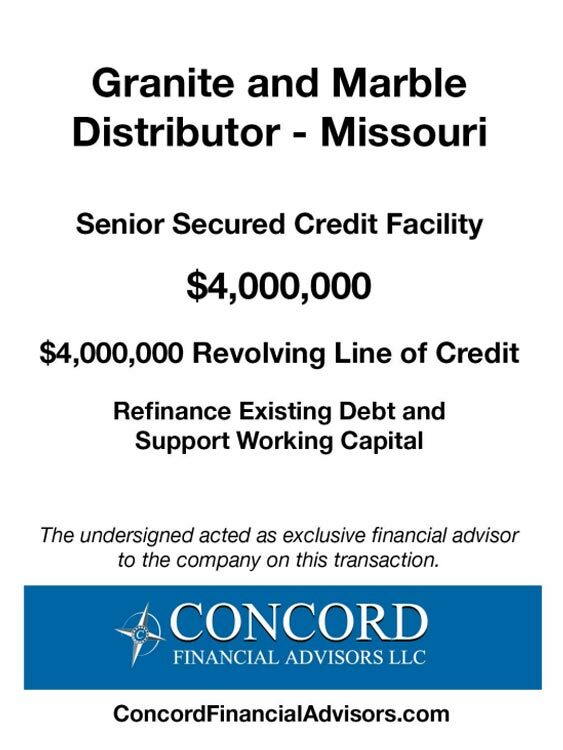 After conducting a targeted search process to national finance company asset-based lenders, Concord secured an asset-based proposal that met the Company’s objectives including advances on its in-transit inventory.